Revolutionize the Way You Manage Your Finances! Imagine Having a GPS for Your Finances! Many people have a GPS for their car, showing them step-by-step directions on how to get to their destinations. 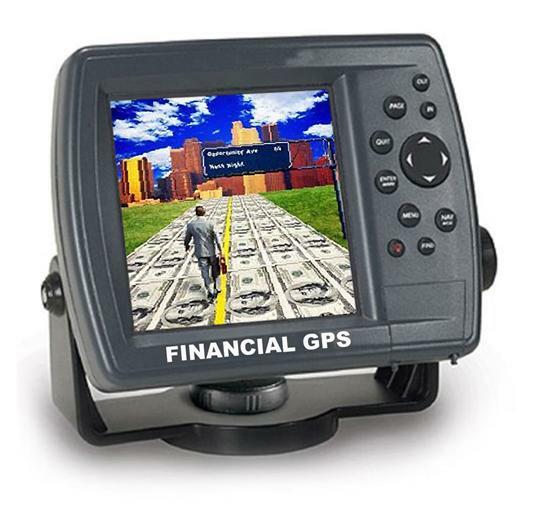 Imagine having a GPS for your finances! How would your finances be if you had a Financial GPS mapping out the fastest way to pay off your loans, create an emergency fund, increase your savings account, and even build equity quicker, given your financial situation. Would you find that beneficial? Finances are the foundation of every household; it is the number one cause of arguments in most marriages, and indicated as the number one cause of divorce. Yet, there is very little education about how finances work. Most people are left to make their best guess and get trapped under a pile of debt. Without education, they will continue to make the same mistakes over and over. Others may take the time to get some education; however, how do you know that you are getting the best information? What happens if you make the wrong decision? Unfortunately, the wrong decision can cost you time and money. What if you had a financial advisor available to you 24 hours a day, 7 days a week, educating you about your financial choices? Mapping out for you the fastest way for you to reach your financial goals, given your situation. Putting you on the path to living a debt-free life and showing you how to reach your financial goals. Welcome to Your Financial GPS - Welcome to the Worth Account program by Worth Unlimited.